This shot was taken at dusk along the Moose-Wilson Road outside of Jackson, Wyoming. 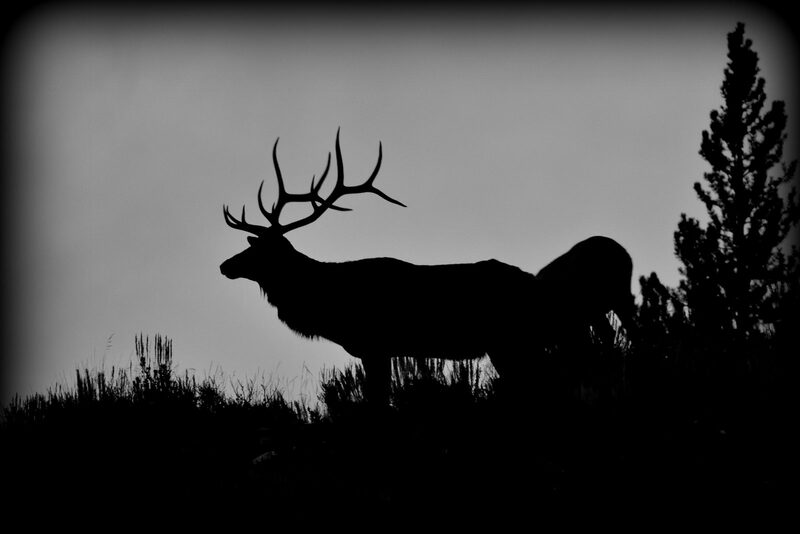 With the sun behind the Tetons, the shadow and silhouette of this big beautiful bull elk stood out along the horizon. I finished it off with the monochrome look and a little vignette touch.